I have tried the other two mascaras in the Soap&Glory collection so I couldn’t not try this one. 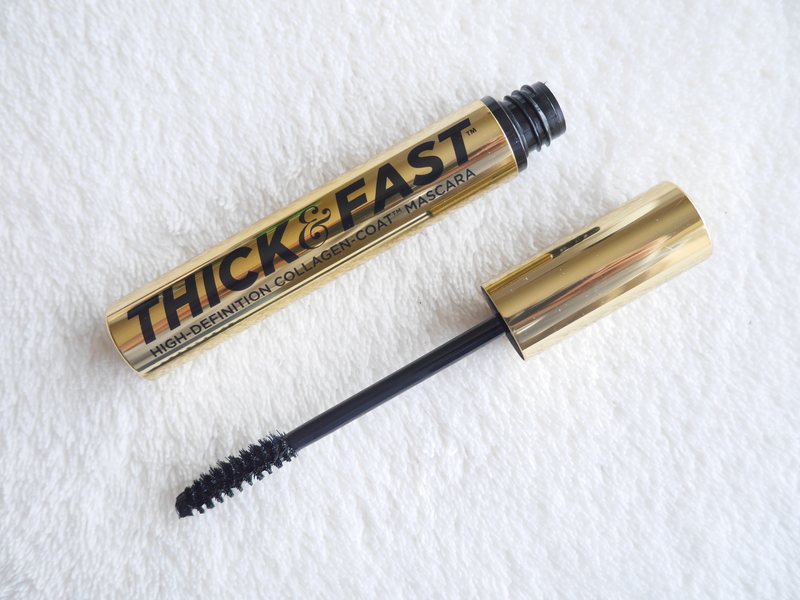 Like the other two in the collection it’s sold as a volumising mascara which it certainly does, but it does also add a certain amount of length to the lashes. The fan brush makes it easy to apply to the top lashes and it grips all of them, however you have to take a little extra care when applying to your lower lashes, it can get messy real quick due to the size of the brush. I’m not sure about all the science behind it; ‘Featuring strength-building COLLAGEN* PRE-PEPTIDES, LONG-STRETCH POLYMERS’ but i do know that it doesn’t transfer onto the lid, lasts all day and formula wise it’s not overly wet, I typically prefer mascaras once they have dried out a little but this one is perfect to use straight away. Out of the three in the collection this is by far my favourite; it creates volume and length without clumping and it has a formula that won’t cause smudging.